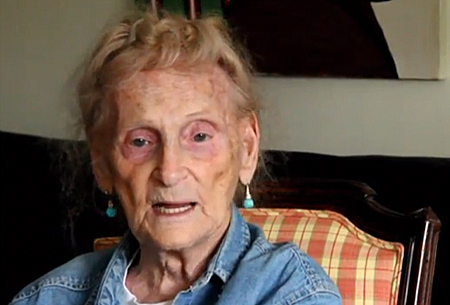 Haters, this is who you hurt – a 92-year-old transgender widow fights for survivor benefits. Anyone out there who comes across this column and doesn’t like transgender persons, thinks we’re weird, icky, threatening, destroying the fabric of the nation – or worse? This is who you hurt. Robina Asti, a 92-year-old transgender woman who lost her husband, companion, and love, is being denied survivor benefits by the Social Security Administration. Her marriage was invalidated, and thus this great nation of ours is doing the “right thing” by denying her $500 extra in benefits. Wait, what? Flying solo: 92-year-old transgender widow fights for survivor benefits – LGBTQ Nation. This entry was posted in Activism, Elderly, Legal, Military and tagged social security, veteran, widow on January 31, 2014 by . There’s over 100 comments on that article, but only 39 signatures on the petition started on whitehouse.gov. At this rate, it’s not even going to get to the level to be searchable on the site (100 signatures), let alone the level that requires an official response (100,000). Even the stupid one about what beer is the white house home brewing got 100,000 but things that actually matter to people’s lives get ignored.